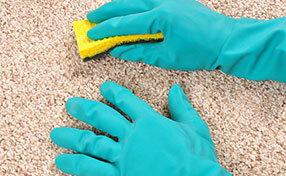 Learn how to deal with carpet cleaning and maintenance. Useful tips are found below. When carpet stains make your life difficult, the following carpet cleaning tips can be very helpful. Take a look and find out how to take care of upholstery, rug and carpet stains. Simply written great ideas and suggestions that can be of help to anyone. Great tips about ways to handle water damage problems with your carpet! Learn the best ways to remove stains! There isn't anything that's more important for keeping your carpet looking beautiful than vacuuming often. Dust and dry soil are abrasive and can damage carpet fibers, not only making your carpet look dirty but also causing increased wear. Vacuum often, and when you find a spill or stain you can't remove; give our experts a call for professional help to keep your carpet looking fresh and new. Accidents do happen at homes and there is no household that hasn't experienced the threat of broken water pipes and carpet water damage. 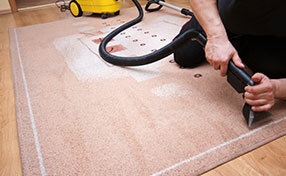 Carpets can get soaked easily and you need to react immediately to avoid problems with mold expansion. All carpets must dry the quickest possible with any means possible. Mold inspection is required even when they are dried according to Carpet Cleaning Los Gatos. Carpets may look great in offices but if they are dirty, they will create the worst impressions to your clients. The condition of the carpets and the quality as well as frequency of rug cleaning is also important to the health of employees. Health problems resulting from filthy rugs will make them unable to work at their full capacity and productivity would fall. Office carpet cleaning is important. Carpet stains are better cleaned when they are still fresh. Once they dry, it is hard to remove them. They won't only look bad, but they will also cause fiber damage and possibly discoloration. 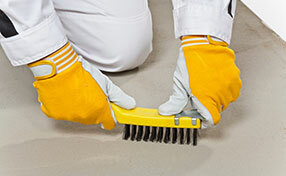 Spills might penetrate the fibers and the carpet will be stained through and through. In this case, the area will be contaminated by bacteria and as our specialists explain, these microorganisms might cause skin irritations. This type of rug is a bad idea in the bathroom because wool is a highly absorbent material. If water gets in it, it can remain there for quite a long time especially if the environment is humid and the ventilation is not very good. This will cause damage to the wool fibers and pose a very high risk of mold growth. Use floor treatments especially designed for the bathroom.